Here's a quick way to preview the size your current document will print - without having to go to the Print command. Just click and hold on the Status bar to pop up a window that shows your current page set up and how big your document is, relative to the page set up. 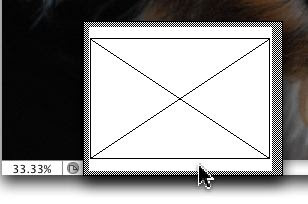 I've been using PS for 12 years and have never known what that little box was for! Thanks Dave!